March Break is just around the corner! There’s no need to venture far when there are fabulous places a quick road trip away. 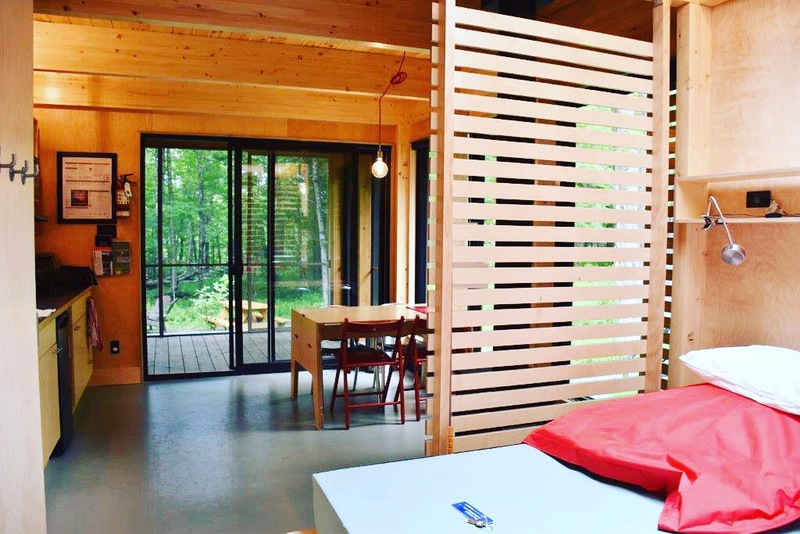 Last year our family hit the highway and headed to Quebec City for a two-night getaway. 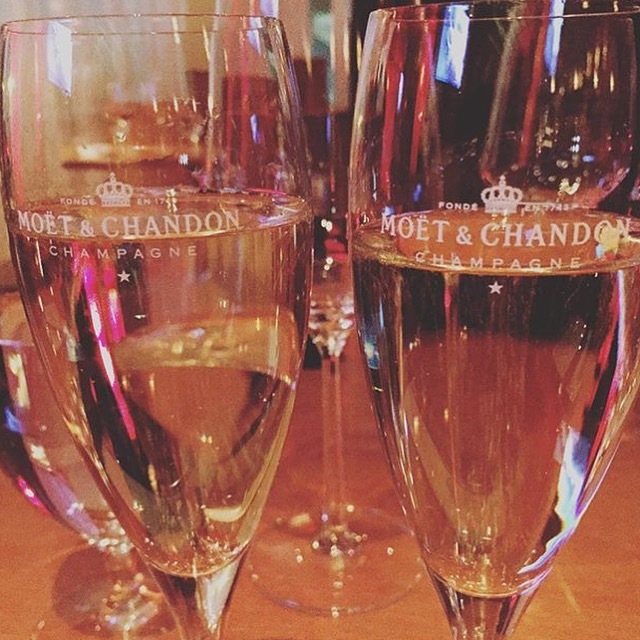 We wanted to experience something new and unique that the whole family would enjoy and we discovered just the place! 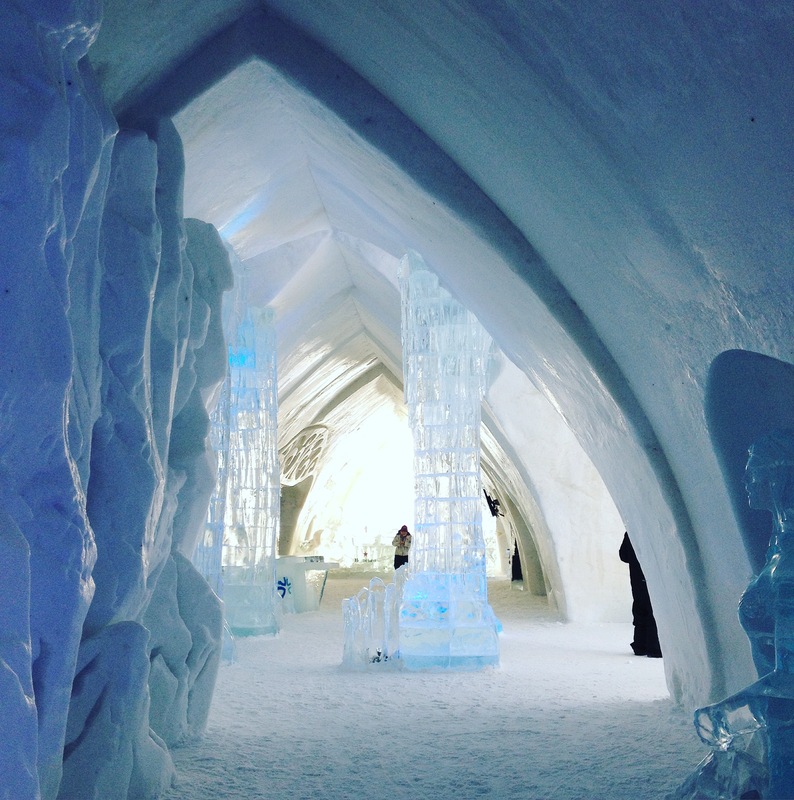 A must-see attraction, Quebec City’s Hôtel de Glace is the only ice hotel in North America (it’s open until March 26th so go soon before it melts). As kids, everyone has fond memories of building their very own snow fort. 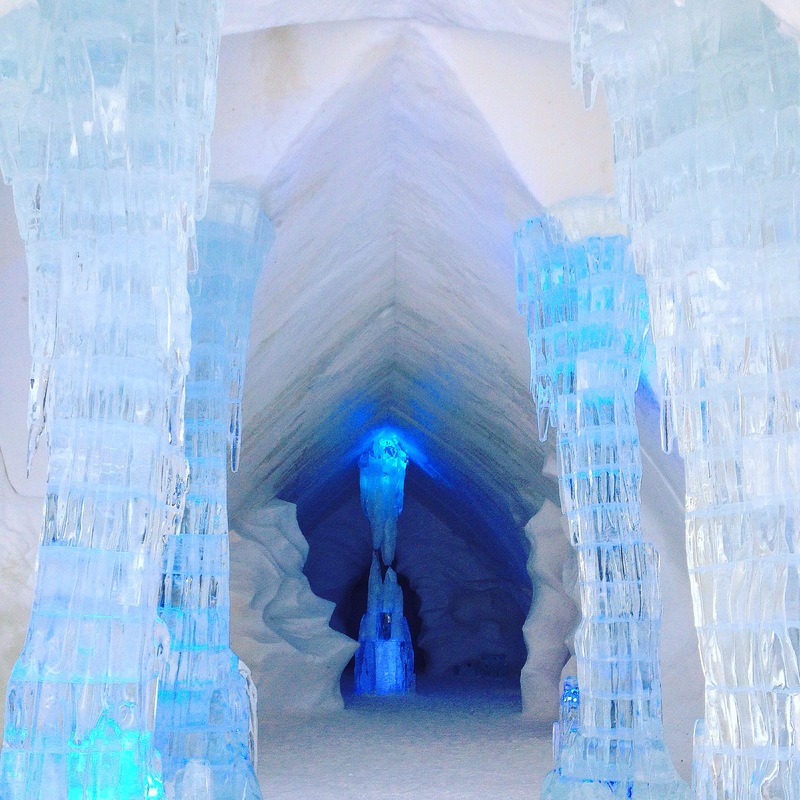 Now think of that multiplied by your wildest dreams and voilà…Hôtel de Glace! Words cannot describe the beauty of this place, it is something that has to be experienced. Every corner is a marvel. From the sheer beauty of the Grand Hall with its soaring ceilings and gleaming ice columns, to the original designs of the individual hotel suites, there is so much to discover. We have to confess that we did mislead our little one and told her it’s Elsa’s Frozen castle, but it was an unnecessary white lie as she loved it regardless. 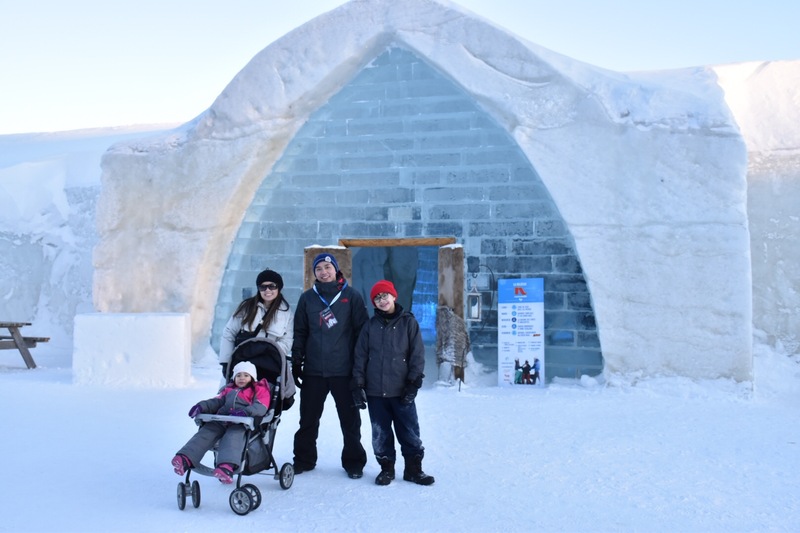 Awe-inspiring ice and snow sculptures throughout the ice hotel captivated our whole family. There’s even a Grand Slide for kids of ages. Who would not have fun going down a gigantic ice slide? 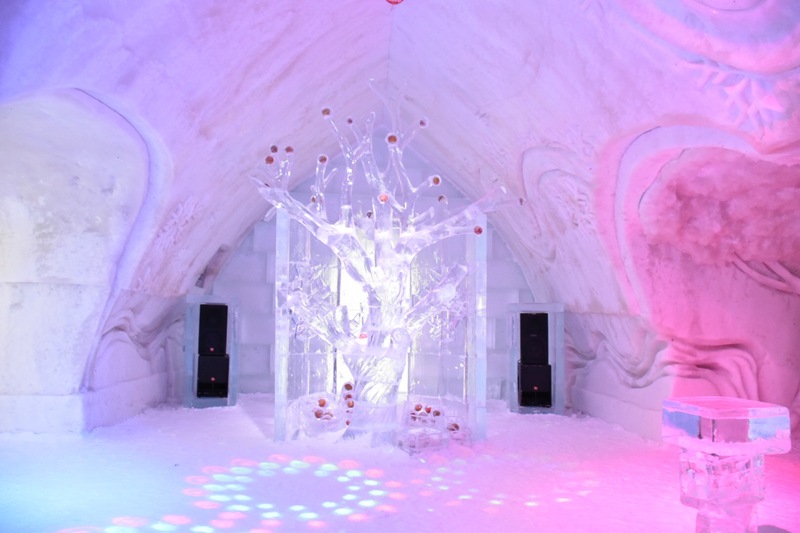 Adding to the cool ambiance is Hôtel de Glace’s Ice Bar. Cocktails in sparkling glasses made of ice for us, and rich hot chocolate for the kids…perfectly enjoyed while sitting on fur-covered blocks of ice. 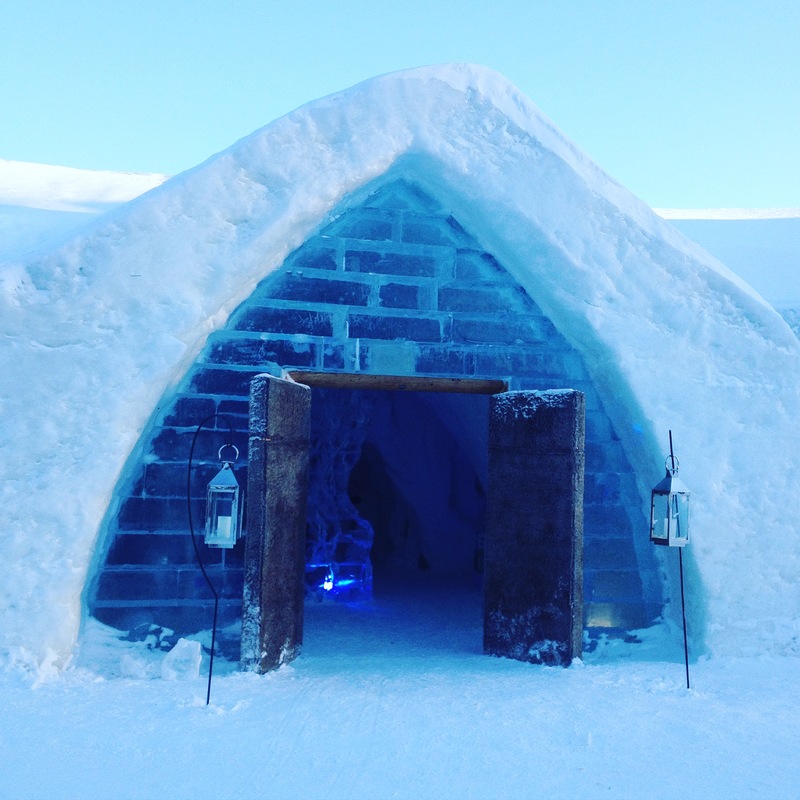 Although there’s the option to book an overnight stay in one of their unique icy suites, we opted to simply enjoy the afternoon at this winter wonderland. Our accommodation of choice was the much warmer and luxurious Le Bonne Entente, a 5-star, 4-diamond contemporary hotel. 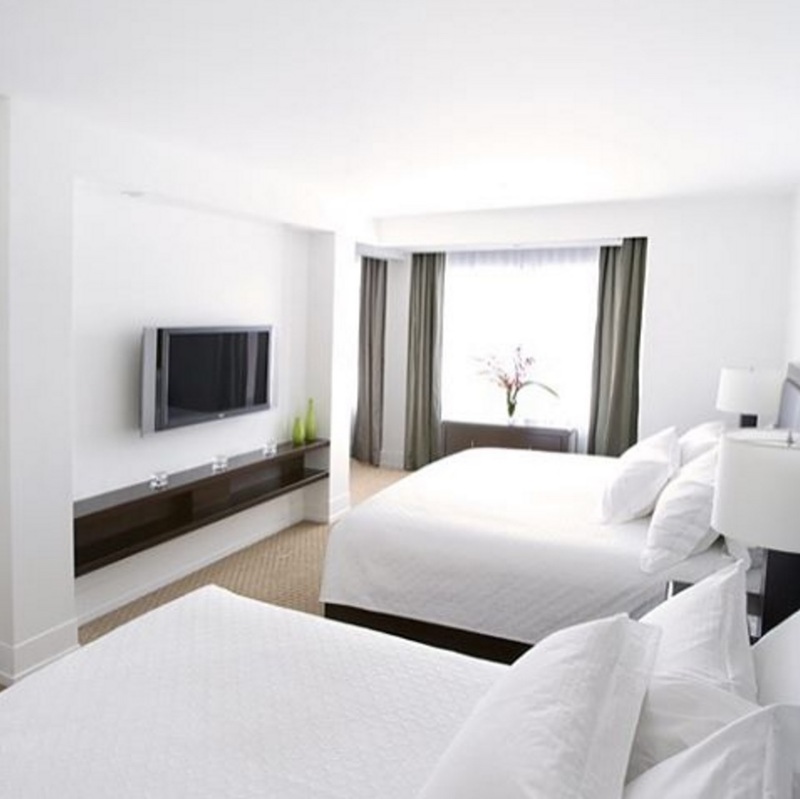 We treated ourselves to the VIP experience of the hotel’s Urbania concept. 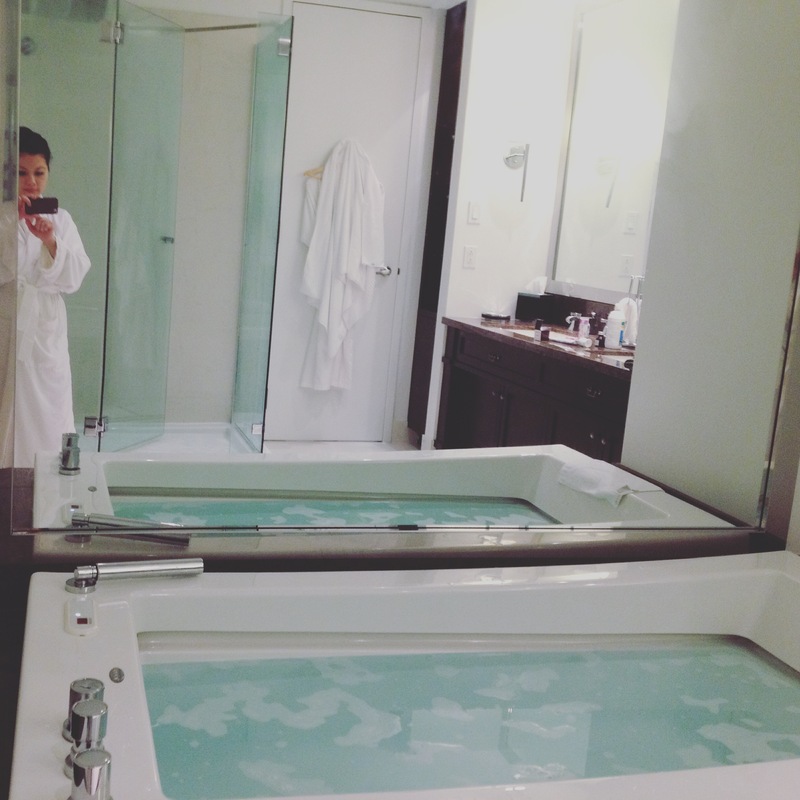 The spacious suite featured an extra lounge area (perfect for different bedtimes) and a spa-worthy bathroom complete with chromotherapy therapeutic bath and a tropical rain shower with body jets (perfect for mommy-time). 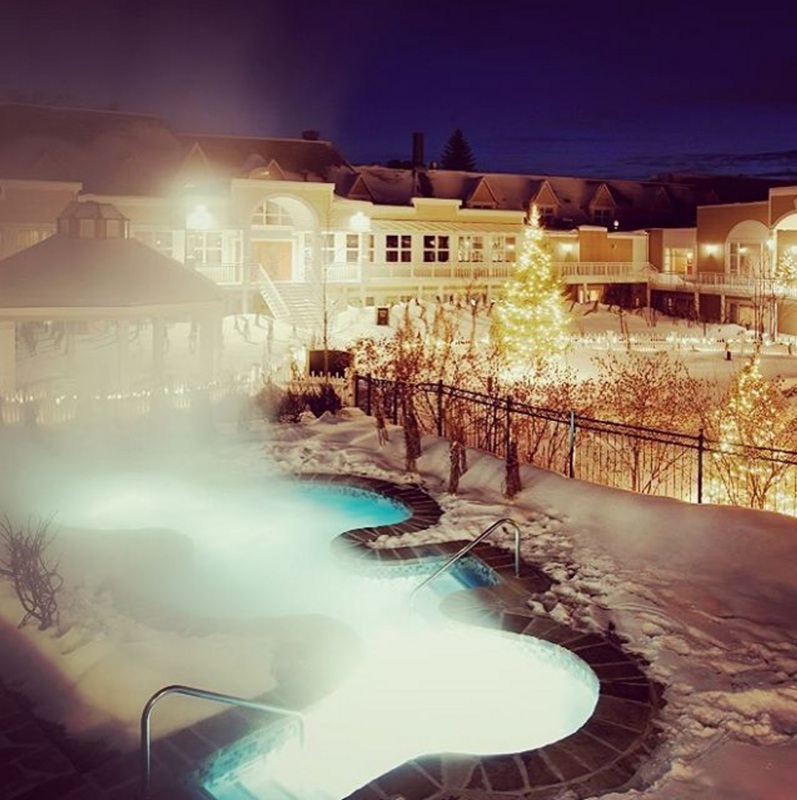 A long hot bath was the perfect end to a snow and ice-filled day. 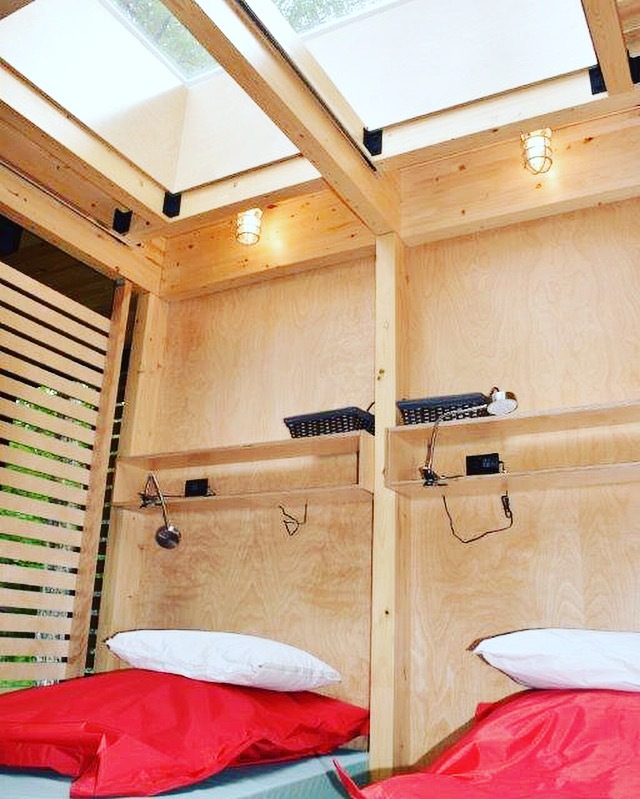 As guests of the Urbania section, our family also enjoyed the private lounge, Living Rouge. A complementary continental breakfast is served each morning and the daily 5 à 7 includes tasty canapés and drinks, champagne and sweets. Perhaps we enjoyed this part a bit too much, as we kept having to remind the kids to not spoil their appetites. 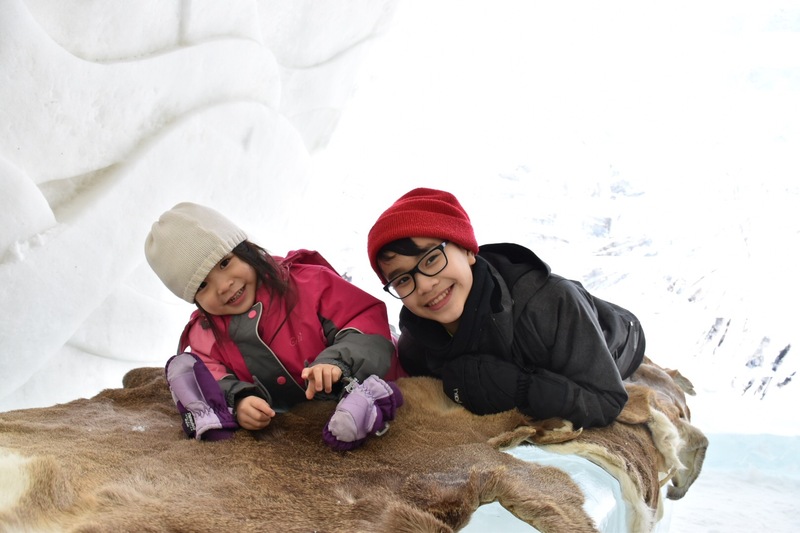 March Break at Le Bonne Entente also came with family perks like kids eating for free and a list of fun-filled activities from cooking classes, maple taffy on snow and a campfire with marshmallows. The hotel’s Fun Club also provides free childcare service. I repeat, free childcare!!! For a babysitter-deprived family such as ours, it was a welcomed break to have a quiet dinner at their steakhouse, MC Lounge. Still not sure if it was amazing because of the chef’s exemplary culinary skills, or the fact there were no arguing off-spring in our presence. Either way, it was a delicious win. 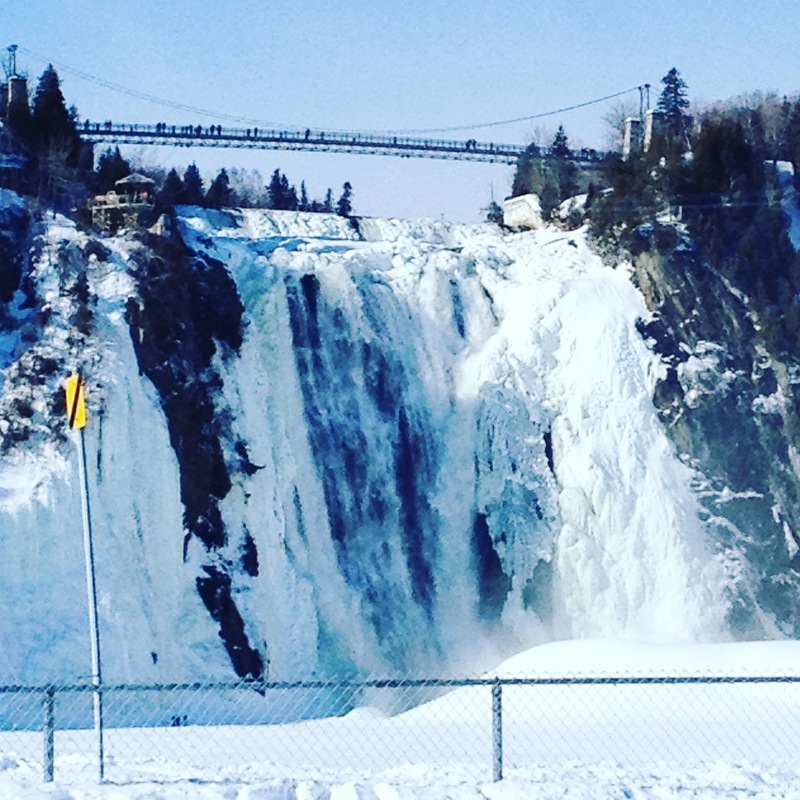 Our mini-escape to Quebec City included a visit to Parc de la Chute-Montmorency. A spectacular sight, Montmorency Falls is a soaring 83 meters high. We hopped aboard a cable car for a ride to the top of the falls, then ventured across a suspended footbridge to see the roaring waters up close beneath us. Mother Nature showed love that day, providing us with mild weather for nice winter stroll through the park’s hiking trails. With our full dosage of winter completed, the last stop for our getaway was Les Galeries de la Capitale. 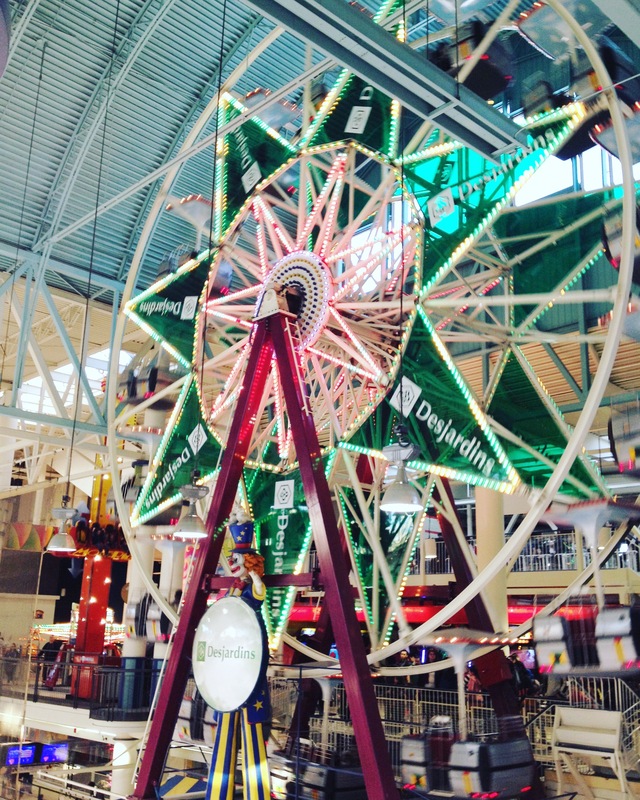 This is not a regular shopping mall but one with the largest indoor amusement center in eastern Canada. 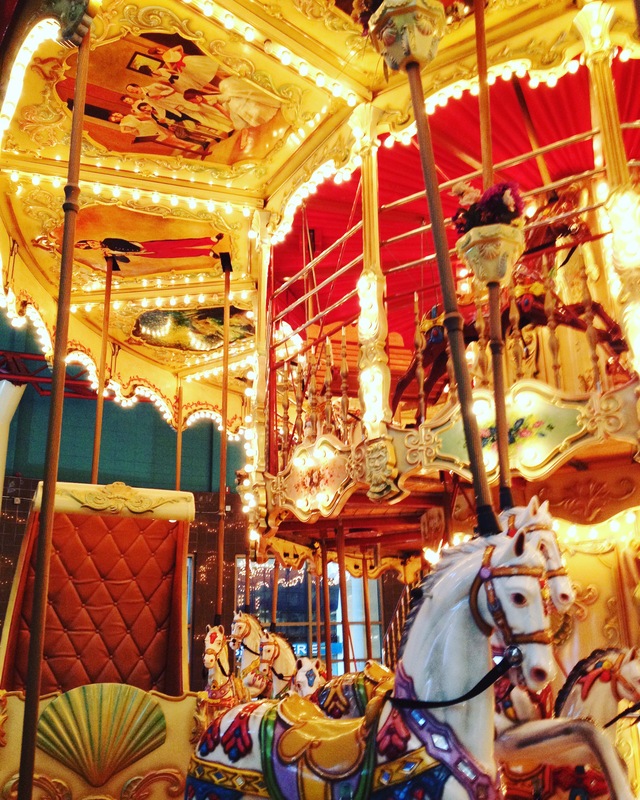 There are 19 attractions including a mini train, merry-go-round and ferris wheel. Oh, and there’s an ice rink too in case you want to take a shopping break to skate. Lastly, no trip to Quebec City is not complete without having Chez Aston’s famous poutine. 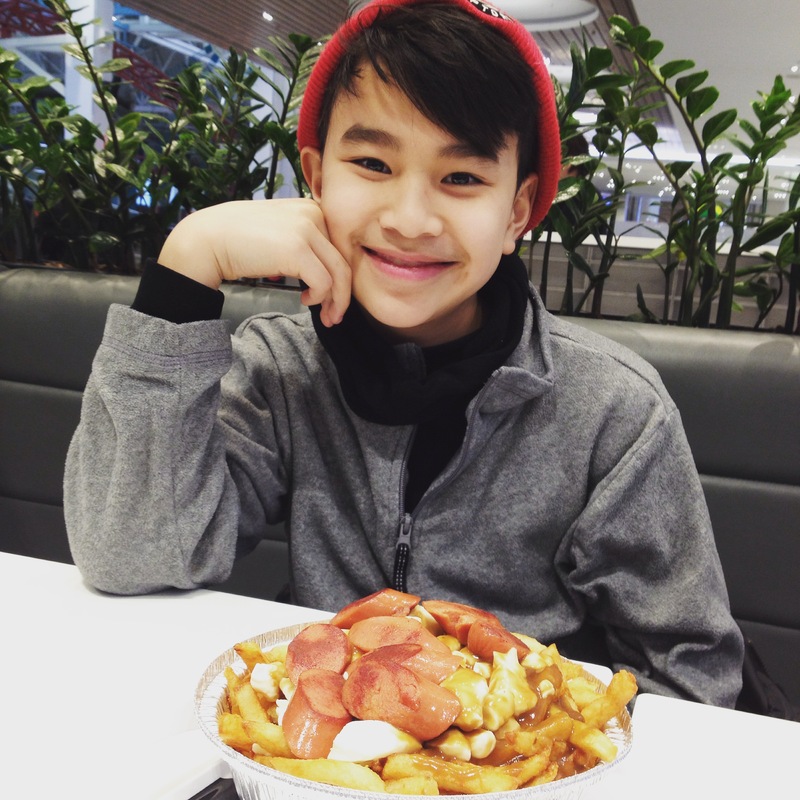 We pride ourselves in knowing our poutine, and Aston’s is the real deal. The fries made with fresh potatoes that are a perfect combination of crispy on the outside and soft at center. The cheese curds are so fresh they squeak when you bite into them….wait, this is now turning into a food blog? Until then, Happy March Break! * Thank you to Québec City Tourism for their kind invitation to the Hôtel de Glace and Parc de la Chute-Montmorency.